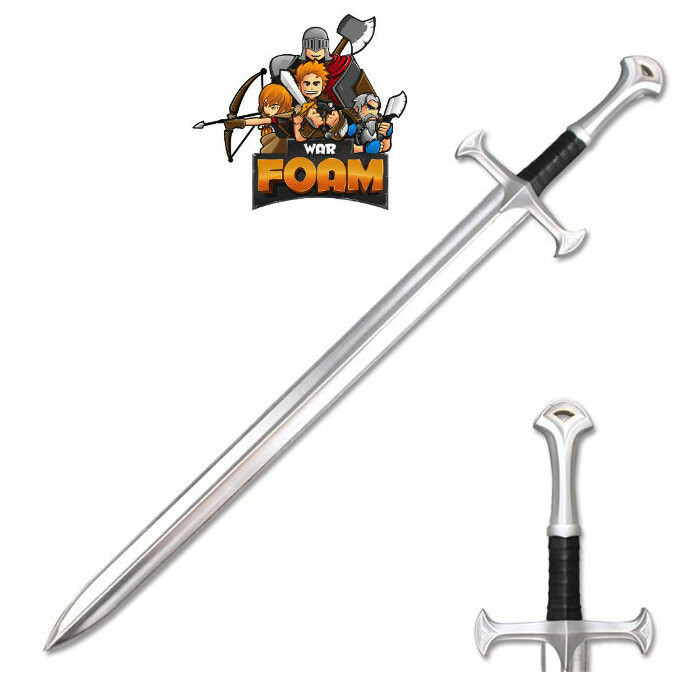 Enjoy hours of Live Action Roll Play with the family with our Medieval Foam Padded Sword. It is totally safe and secure for children and a great item for Cosplay or conventions. It features a durable heavy duty foam construction. To allow for its use in LARP battles, this weapon is crafted with a fiberglass core and features an outer layer made from mold injected latex. The metallic chrome finish blade is painted to appear like a real steel.